The Rissman Family Kol Ami Museum in Highland Park, IL, will host a reception featuring artist Ellen Holtzblatt on Thursday, September 6 at 6:45 pm. 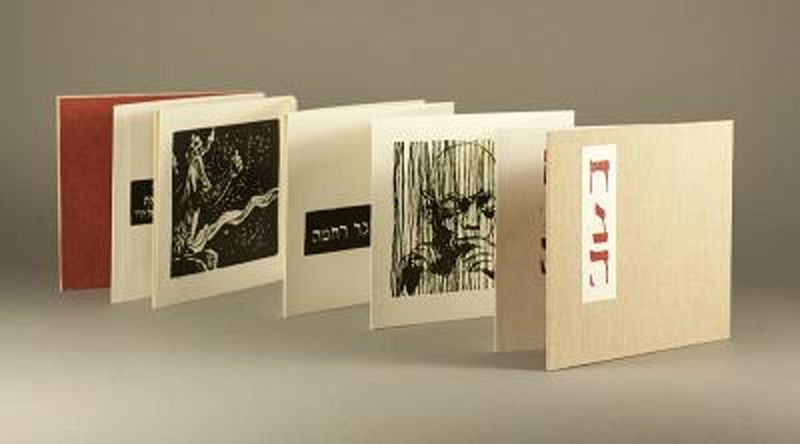 Holtzblatt's Sefer Hana is a limited edition accordion book of woodcuts, hand printed on Japanese paper, that is a feminist and personal retelling of the biblical narrative of Hana. Following evening Minyan, Jane Shapiro will lead a text study on the Haftarah for the first day of Rosh Hashanah. Reservations are required. Please contact Marcie Eskin at meskin@nssbethel.org or 847/432-8903 x234. Open to the community, free of charge. 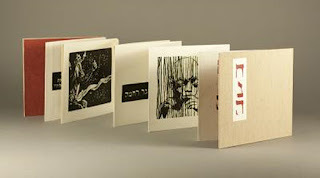 The book, prints, and wood blocks will be on display in the sanctuary entrance of North Suburban Synagogue Beth El through November 11, 2012.